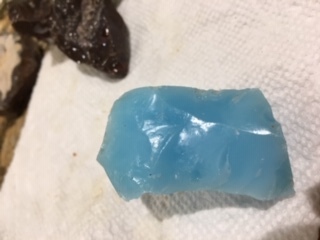 What is this baby blue rock? 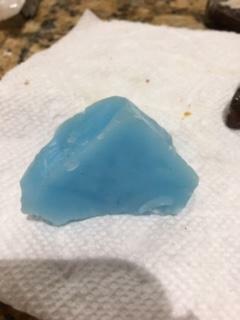 I have no clue of its origins; I believe somewhere in the USA. It did not scratch with the knife test. It is about 1 1/2” x 1”. I am pretty sure you have some bulk glass. It is readily available at a number of locations that also sell rocks and also places that sell landscaping materials. Not the answer you're looking for? Browse other questions tagged identification-request or ask your own question. 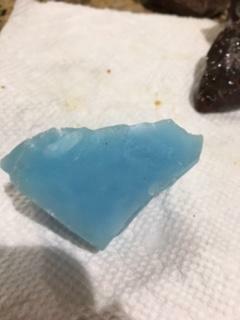 What kind of rock is this (from UK)? What is this red, brown and yellow rock?